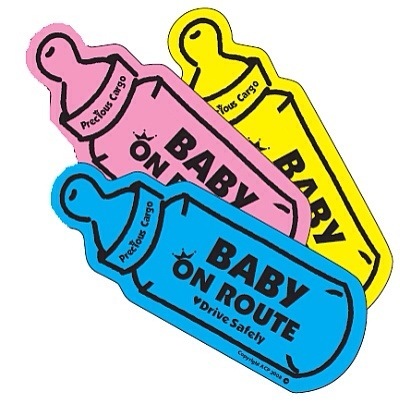 My husband and I were driving to his work the other morning and noticed a “baby en route” bumper sticker in the shape of a bottle. A pregnant woman’s version of the “baby on board” bumper sticker that will surely follow. “Oh, I guess you should make a point of NOT hitting that car now that we know there may be a pregnant person riding in it…” I sighed. We often laugh about this kind of thing. Do people actually think that a bumper sticker announcing that a pregnant woman is driving a car will somehow make the rest of us drive more carefully? Are there perhaps people going out of their way to murder others on the highway who suddenly change their minds when they see a quaint little “baby on board” sign hanging in the back window? Does this mean that it is okay to drive recklessly around motorists who are NOT pregnant or parenting? As we continued on our journey we turned to a news radio station. We heard about a road construction accident in which a worker was killed by a reckless driver. The radio announcer claimed that it was a tragedy because the man was the father of two children. Would it not have been a tragedy if the construction worker was a single student on a work placement or a married woman without children? In other words, are we placing higher value on the lives of certain people based on their ability or choice to reproduce? Whether or not we mean for it to be this way, our language helps to shape our cultural attitudes toward people in our society. Our language also sometimes subtly reflects cultural attitudes that are not always explicitly stated. Was I less important of a human being when I did not have a child? I certainly hope not. One could actually argue that I was actually contributing more to our community (in measureable ways, at least) when I was not pregnant and did not have a child of my own, including working as a full time teacher and paying taxes, working on my Union executive, volunteering on various committees, being a regular part of my church community, etc. 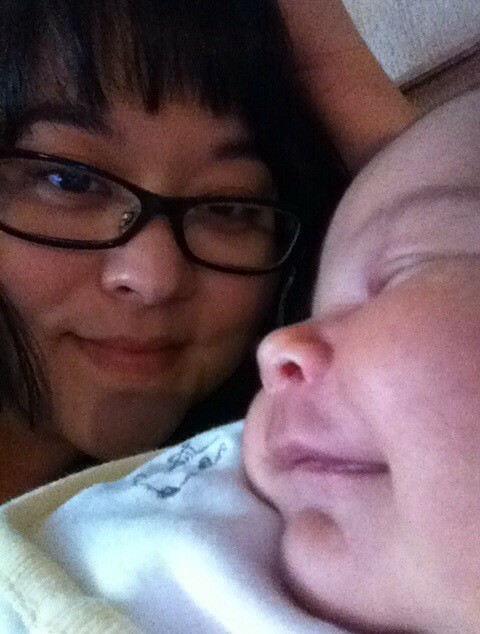 My role as a mother has changed the ways in which I can afford to spend my time. I now often rely on the support of others who do not have small children to help me. I have traded spaces. My role as a mother in our society is still very important, but I would be foolish to think that my life is somehow more valuable than a childless or childfree person’s just because I am now a parent. There are millions of people who are silently grieving an inability to have children. There are many people who have chosen to live childfree and are facing discrimination as a result. It is often implied (intentionally or otherwise) that these people are worth less than their parenting counterparts, and I find this very upsetting. A childless or childfree teacher has likely been instrumental in your own emotional/social health or that of someone you care about. Think about some of the amazing education workers who lovingly and freely give their time before and after school to tutor or run activities, who give up their lunch or prep time to console broken-hearted teens or junior kindergarten students who miss mommy. Think about that amazing childless or childfree godparent, aunt or uncle who gives up so much of his or her personal time and resources to be there for a child in need. Think about all of the Sunday School Teachers and Big Brothers and Big Sisters who are childless or childfree… the ones who seem to have endless energy and love to give to the children in their care. Nurses, outreach workers, therapists, ECEs, counsellors, child and youth workers… Some of the best ones I know have the time and energy to be amazing with children because they do not have a second job (parenting) waiting for them when they get home. Thank goodness our world is made up of so many different types of people. Thank goodness we have parents and non-parents alike who are willing and able to love and nurture our children and their parents. It takes a village… and each of us in that village is important and valuable, whether or not we have children of our own. Note: Since publishing this post a few days ago I have had a huge response from some childfree forum folks. First off, thank you so much for reading and responding to this post. I had no idea that this post would capture the interest of more than my regular 25 readers (mostly my family members and a handful of friends, with a few bonus twitter and blogger pals). -Although not explicitly stated in this post, please know that my CF friends are valued whether or not they have any interest in my child or in the children of others. Their worth is not defined by what they can “give” me as a parent. -I do not believe that CF adults should be expected to take on more responsibilities than parents in the workplace or in the community simply because they are not parents. This is discriminatory and unfair. I really resented it when a coworker once told me that I should be volunteering to do more evening activities because I “didn’t have kids” (as a parent, she excused herself from said activities). -My expressions of gratitude for those CF people in my life who have positively impacted my life or my child’s life are just that: expressions of gratitude. They are not meant to degrade, offend, or otherwise upset anyone. They are not meant to imply that you are not a good person if you are not contributing in the same way, or that you should be compensating for your lack of offspring in some way. It takes ALL kinds of people to make our world a beautiful place in which to live. Perhaps you helped a friend through a tough divorce. Perhaps you’re the person others go to when they need advice, a cup of tea, a hug, or a power tool. Perhaps you care for animals or are amazing with numbers. Perhaps you make a point of smiling at the homeless guy at the subway station every morning and you secretly make his day. You don’t have to be volunteering with preemies at the hospital to make this world a better place, or to be seen as a valued part of our society. Your life is worth just as much as the nun reading to disadvantaged kids. -For those of you who have suffered when parenting friends suddenly ditched you for other parenting friends… Boo to your “friends”!!! Real friends will want to spend time with you because they care about you, not what you are willing or able to contribute to their child. You have the right to ask them to not discuss the contents of their child’s diaper (eww), and to converse with you about other (less gross) topics unrelated to their offspring. Thanks so much for the kind words. You were actually a part of the inspiration for this piece. I am childfree and yes I often do feel that we’re undervalued…we get ONE bingo-free piece in the mainstream media (the Time article) and suddenly all the conservatives go crazy about “anti family propaganda” when if any of them actually paid attention they’d know that pressure to have children is everywhere! The PTB WANT us to have babies, there are no anti-family agendas anywhere, if the “elite” wanted to “destroy the family” then why do we have to create our own insular communities to avoid being criticised? Thanks for reading and sharing your comments. I’m glad that this post resonated with you. I agree that as a society we need to put less of a emphasis on whether we procreate or not. However, I think what you are seeing in the example you give is that we mourn more strongly for children deprived of a parent too early (see also: children or people who die very young, we feel more strongly for their parents). I don’t believe that anyone’s death is in any way more important than other person’s death. But it makes a huge difference in the course of your life if one or both of your parents dies when you are young. We should have sympathy for everybody, and I think many of us do, but I will always feel more sad for those who lose a parent very young, like I did, versus someone who loses a parent in their twenties or older. Thanks for the thoughtful reply, Grace. I agree that losing a parent at a tender age is devastating and leaves a hole in your heart that can never really be completely healed. I think you make a good point. I’m childless but when I see reports about young parents who have died young, I think of their child being without a parent. Having said that, I do feel sad for anyone who has died in a tragic way. I have several family members that are first responders to medical emergencies such as car accidents, and it is helpful to know to look for a baby or that the potentially injured may be pregnant if no one is able to tell them. I know they look for car seat bases, diaper bags, etc. when arriving at a car accident scene. However, I completely agree that our society places a high value on people that are parents, and we find the death of parents very tragic. I think part of that is because we have all been children. I know I can empathize with children losing a parent at a young age which makes me more sorrowful for the loss of a parent of a younger child. I do wish people would be more open to people that are childless, no matter the circumstances. I completely agree not everyone in this world wants to be or can be a parent, and it certainly does not make them less valuable to be without children. I love this! I have childless friends who have expressed similar concerns. I think it’s silly to expect everyone to be the same when we all have unique callings in life. Before I had my son I worked in the pre-k special needs dept. Since I didn’t have kids of my own yet, they were my babies. I had the energy and time to put into that job. If I were still working in this field, I can see myself getting very drained and exhausted now that I have my own child to care for. I think there is a common misconception that couples who choose not to have kids are selfish–that they just want to party and have no responsibilities. However, this is not always the case. It is sad that our culture is so quick to judge without knowing the full story. Kerry–thanks for your response! Yes, I think that the assumption that childfree couples are selfish is so unfair. I think it would be more selfish to have kids just to “fit in” and then not be able to give those kids the love and care that they need. Thanks for reading and for sharing this piece of your book. This is definitely a topic that needs to be examined. Do you mind sharing a link for where people can purchase a full copy of the book?